Sayaka sasayaka sawayaka Sayaka sasatto yasashisa azayaka sayaka desu! Sayamina is awesome, even though she isn't my favourite. 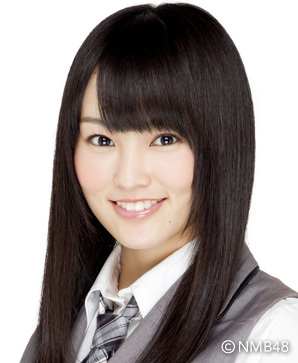 but +1 to Sayamina fans.. Don't have an NMB oshi yet but this girl just might be it iunno..
Why is her nickname Sayamina? Where does the "mina" part come from? Her nickname is actually Sayaka, but for obvious reasons it's too confusing to call her Sayaka. Maybe you should take a leaf out of SKE48's book and call her SayakaII. Well, I originally gave her the nickname of Sayaka², but it didn't seem to stick. Sayamina is a great nickname. Very creative. I'm going to use it now! Use the name as you wish!